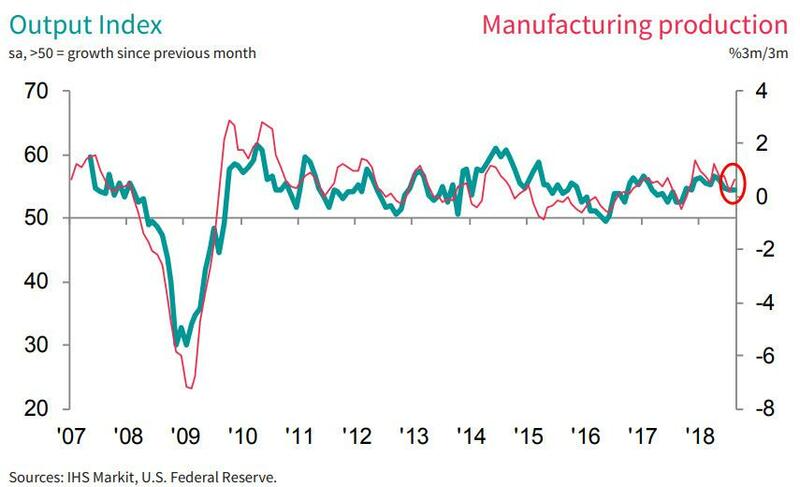 Following July's drop in US manufacturing surveys, expectations remained lower for August as 'hard' data slumps to 11-month lows - but - as has become so ubiquitous in recent months - the surveys vehemently disagreed with each other. 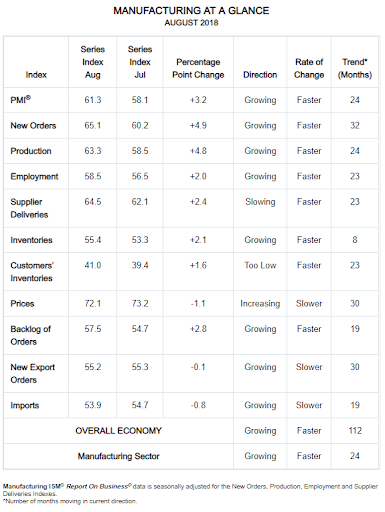 Markit's Manufacturing PMI survey fell from 55.3 to 54.7 (the lowest since Nov 2017), but was very modestly better than the 54.5 flash print earlier in the month. 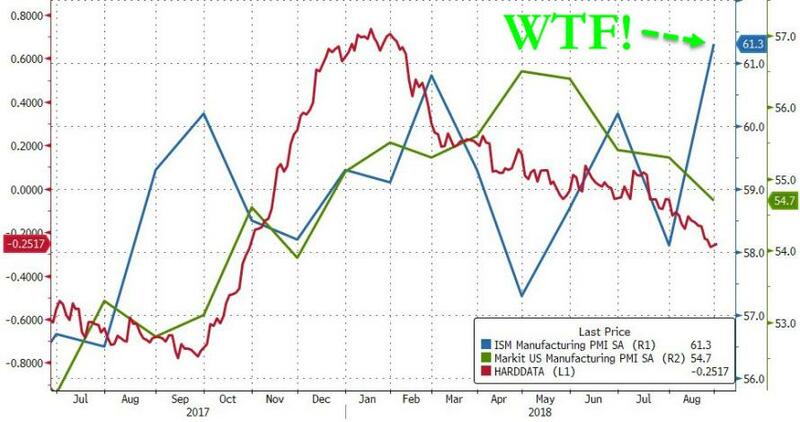 Under the hood, Markit showed Output slowed to weakest since Sept 2017 and New Orders slipped to the weakest growth since Nov 2017. 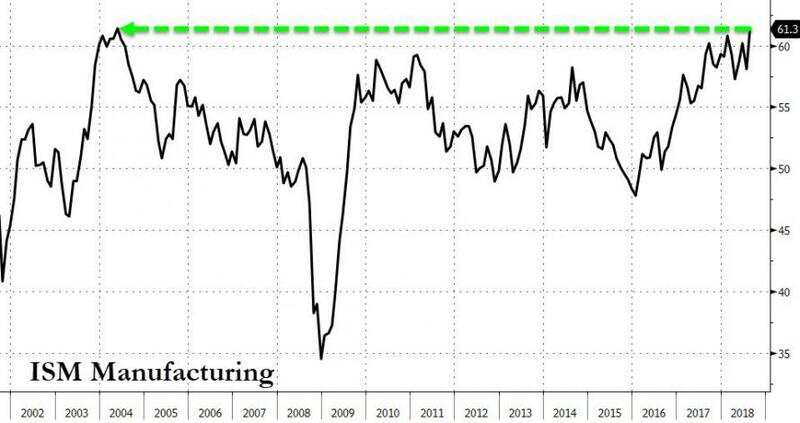 ISM's Manufacturing soared from 58.1 to 61.3 (smashing expectations of a modest drop to 57.6) - The highest since May 2004's all-time record high. Which as the chart below shows, is utterly idiotic!!! 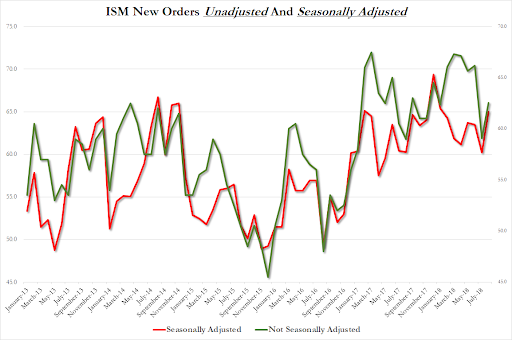 "Tariffs and trade wars were also commonly cited as factors behind companies building safety stocks of inputs to ensure supply or lock-in lower prices, exacerbating supply shortages and also driving prices even higher. "Looking at the survey responses, almost two-thirds (64%) of companies reporting higher input prices explicitly blamed tariffs as the cause of increased costs. Almost one-in-three went on to cite tariffs as the cause of having to hike prices to customers. Overall price pressures eased somewhat, however, which if sustained could take some heat off consumer price inflation in coming months."